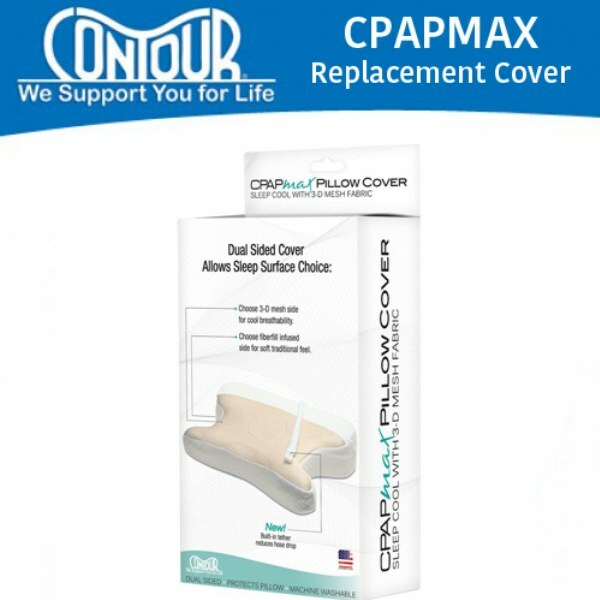 Replacement cover for the CPAPmax Pillow by Contour Products. Plush micro-quilting pads the pillow for added comfort. Replacement cover for the CPAPmax Pillow by Contour Products. This cover is just like the original cover which came with the pillow. This high-tech cover is dual sided and features a 3-d mesh layer on one side and fiberfill on the other. Both technologies are incorporated into the cover and work with the foam layers to complete the CPAPmax pillow. The cover is 100%polyester and super-soft quilting with a jersey layer for breathability. Zippered closure allows for easy removal and installation of the cover. Machine washable.